DALLAS, TEXAS – March 4, 2019 – Presented by the State Fair of Texas, United Way of Metropolitan Dallas, several community partners, and nearly 100 volunteers, NXT Fest 2019 welcomed more than 400 high school students from southern sector DISD schools. In addition, there were nearly 60 exhibitors and vendors present, representing employers, colleges, resources, and other organizations to benefit the students in attendance. For the second year, students had the opportunity to meet with these industry leaders and executives, expanded their financial knowledge at informative workshops, gained job-readiness through exposure to potential employers, and learned how to amplify their personal branding to figure out what comes next. Schools competed in the second annual Principal Lip Sync Battle, with the winning team receiving official gear from Paramount Network’s Lip Sync Battle TV-show and a $1,000 cash prize to fund a student-led collaborative project at their high school’s campus. Kimball High School claimed this year’s first-place spot, with Wilmer–Hutchins High School coming in second place and Lincoln High School in third. In addition to being able to speak with and learn about several different universities and colleges, students in attendance had the opportunity to enter a raffle for a $10,000 scholarship from Texas Southern University. Two students walked away from NXT Fest with a $10,000 scholarship to attend Texas Southern University in Houston. All students in attendance also received a backpack filled with school supplies, had the opportunity to take home new uniforms, and get a free meningitis shot. The third annual NXT Fest event will take place in the spring of 2020. NXT Fest is looking for southern sector DISD students to join the planning committee, student-centered resources, other organizations, and volunteers to participate next year. To learn more about how to get involved, email nxtfest@bigtex.com. 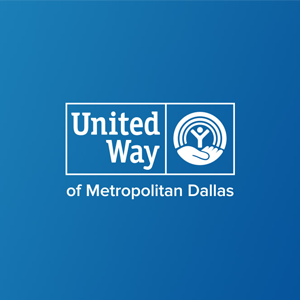 United Way of Metropolitan Dallas is a community-based nonprofit organization that believes in the power of unity to create lasting change. For over 90 years, we’ve brought people and resources together to strengthen Education, Income and Health—the building blocks of opportunity. Together, we work to achieve long-term results that help our community thrive. We encourage every North Texan to be part of the change. To give, volunteer, advocate or learn more, visit UnitedWayDallas.org.